We can’t believe that we’ve already traded in our beach towels for jackets, our flip-flops for boots, and that a layer of frost is forming over our car windows in the morning. Fall has arrived, and before we know it, it will be the new year! In an ever-changing and ever-growing industry, we were curious to see what we had to look forward to in 2017. In our research, we have found a few marketing and social media trends that might be occurring in the near future – some that we possibly could have predicted ourselves, and others that surprised us. Visual Content: For a while now, visual content has been the most prominent way to reach out to your audience. Content with relevant images gets 94% more views as opposed to content without it, and when people hear information, they’re likely to only remember 10% of it three days later, while if that same information was paired with an image, this percentage increases to 65%. Visuals will become all the more important as search engines become more advanced at reading and analyzing images to see what a website is about, so we’re going to safely assume that photography, designs, and any other visual elements will be just as important if not more next year than they were this year. Mobile Movement: When is the last time you’ve been on a flip phone, or seen others on a flip phone? Smartphones have been the most popular option (and essentially the only option now) throughout the last couple of years, and over 80% of internet users own one. The younger set will never remember the days of the LG Envy 3 or the notorious Pink RAZR, because today, 85% of millennials are smartphone users. Since you can access essentially everything you could ever need to on smartphones, they will prove to be an extremely important outlet to reach out to your audience on in 2017, the same way they did this year. AR/VR (Augmented Reality/Virtual Reality): The Pokémon Go App was only the beginning, although it wasn’t the first attempt at augmented reality. 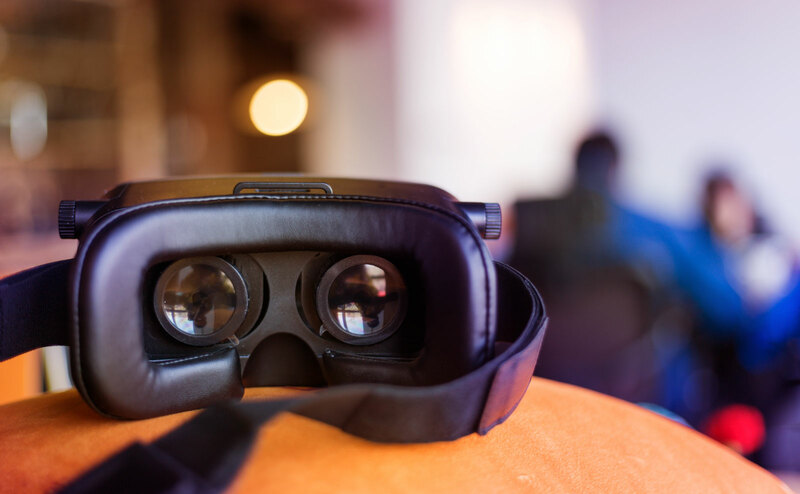 According to Forbes, the shift to augmented and virtual reality will be an even bigger trend next year, as it offers unique and memorable interactions for its users, and could completely shape and change the way a business works. It’s a way to mix the digital world and analog world together, which also introduces the concept of gamification, which is applying game mechanics and game design techniques to engage and motivate users. Writing: This seems like an obvious one, but this powerful form of communication is often overlooked in this digital era. Writing will always be necessary, even in a world which seems so overtaken by visuals like we mentioned before (what’s an Instagram picture without the perfect caption to go along with it?). Most of our communication is still presented through content, and when you’re trying to express what your brand means to your audience, the most effective way to do it is through telling your story. Videos: Who doesn’t love a good video? In fact, it’s become one of the biggest visual storytelling strategies, as 4 times as many consumers prefer video over text. The real-time video epidemic has already swept quite a few social outlets: Facebook Live, Snapchat, and Periscope all allow you to engage via live video broadcasting with events that are actually taking place at the time you watch them, which allows brands to engage with their audience in a totally new and innovative way that simply isn’t possible through other outlets. According to the Social Media Examiner, 50% of marketers will use live video for their social media marketing strategies next year. Plus, having more videos greatly increases SEO, which is a definite bonus. Snapchat: Speaking of Snapchat (the company is actually now called Snap Inc.), this app has extraordinary potential for the marketing industry. Over one third of teens and young adults watch video content via Snapchat, even though only 5% of marketers are currently using it. For the upcoming year, Snap Inc. tapped a number of banks to work on its IPO, and Morgan Stanley and Goldman Sachs will be taking the lead on this. This move could value the company at $25 billion, making it the biggest company to go public on the U.S. exchange since 2014. Instagram: For the past few years, Instagram has been sweeping the interwebs and will continue to gain more and more momentum – currently, they have 500 million monthly users! On mobile devices alone, the app is expected to reach $2.81 billion worldwide in 2017. Now with its stories feature, it’s becoming more involved than ever before by providing suggested videos based on user’s Instagram activity, including who they follow and which topics they express interest in (more on why your company should invest in an Instagram here). Twitter: Twitter had a rough start in 2016 for multiple reasons, but there are 313 million active users on the site, so it doesn’t look like it’s going anywhere anytime soon. It’s still the outlet for users to send out a quick idea, thought, or blurb, and is still on point with all of the current trends – this is the site that the life changing hashtag originated from, after all. But as content becomes more visually oriented, Twitter will have to find ways to incorporate this strategy in more to remain one of the most popular social outlets – they’ve already started by giving users the ability to add images without affecting the character count. Facebook: Facebook still holds its title as the champ of the social media world with a whopping 1.71 billion active monthly users. This year, the website introduced Search FYI, a tool that personalizes results by adding current news stories; for brands, this means creating content that creates a balance between shareability and SEO optimization. We think that next year, Facebook will become more and more of a lifestyle site as opposed to just a social site in order to try and outdo its social media competition; you can now pay your bills, check your calendar, watch live videos, and even have a virtual assistant through it. According to Brand Watch: “if you stand still in social, you are moving backward.” The increasing popularity of visuals, the power of apps, and the push for social outlets to create the ultimate, interactive audience experience will continue to occur in 2017, so it’s crucial to keep this all in mind for your company. What are your predictions for the new year? Share with us!